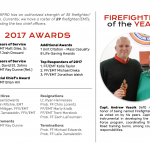 Firefighter of the Year, Service Awards, Resignations, etc. As some of you may know, 2017 was most certainly a busy year for us in many different aspects, including but not limited to; service awards, new hires, terminations, resignations as well as promotions. During our awards ceremony, which is held at our annual Christmas party, one of the many awards presented is Firefighter of the Year which is voted on by your co-workers. 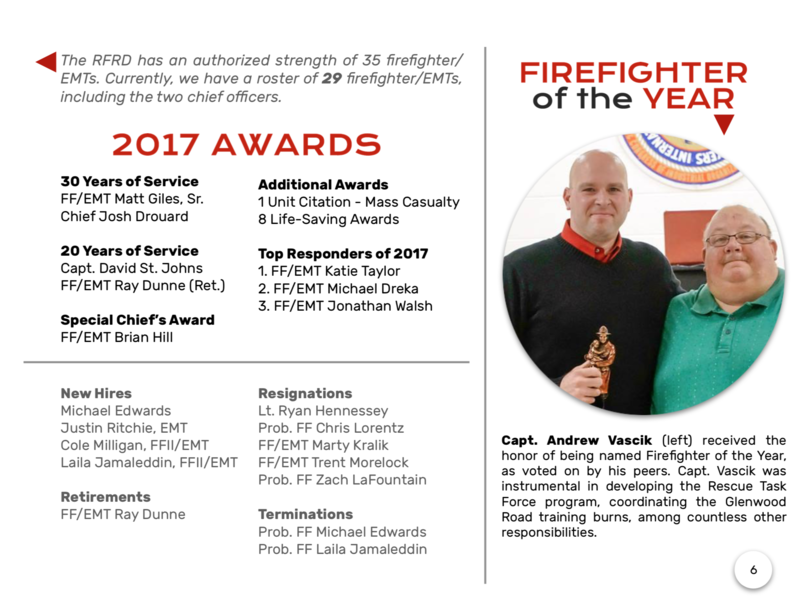 This year, the award was given to Captain Andrew Vascik who was instrumental in developing the Rescue Task Force program, coordinating the Glenwood Road training burns, among countless other responsibilities. Congratulations Captain Vascik on your well deserved award!